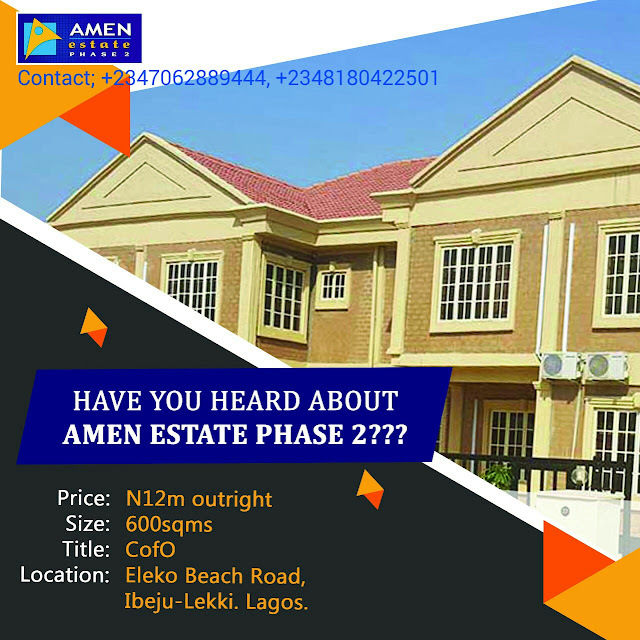 *AMEN ESTATE PHASE 2, IBEJU LEKKI, LAGOS. We now have the opportunity to buy into Amen estate..
i know we have seen the phase 1 while on our way to Ibeju-lekki or when you watched the soap opera Jenifa's diary. Amen Estate, Phase 2 called Emerald Bay* is a brand new residential gated community in the Ibeju-Lekki area of Lagos, near the $14 billion Lagos Free Trade Zone. - Emerald Bay is within the vicinity of the famous Lagos Free Trade Zone, into which the Dangote Group and several other companies have invested over $20 billion so far, the proposed Lekki Airport, the Lekki Deep Sea Port, Greensprings School, Corona School and Pan African University. 1. 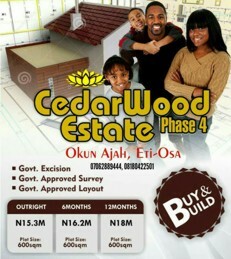 WHERE IS Amen Estate, Phase 2? ANSWER: It’s a stone’s throw from Amen Estate Phase 1 on Emerald Road, off Lekki- Epe Expressway, Lagos. About 10 mins to Pan African University and Amen and about 20 mins to the new airport, the new seaport, the Free Trade Zone, Dangote Refinery and Dangote Fertilizer Plant. 2. WHAT TYPE OF TITLE WILL THE BUYER GET? ANSWER: C of O issued by Lagos State Government. 3. WHAT DOCUMENTS DO I GET AFTER FULL PAYMENT FOR MY LAND AND MY TITLE. 4. IS THERE ANY TIME LIMIT TO COMMENCE WORK ON MY LAND AFTER ALLOCATION? 5. IS THERE ANY SERVICE CHARGE? ANSWER: Yes. NGN show me yearly as contribution to maintenance of common areas & security. 6. IS THERE ANY RESTRICTION REGARDING THE TYPE OF BUILDING I CAN CONSTRUCT IN THE ESTATE? ANSWER: Yes. The estate will be a low density estate whose general ambience will be peaceful, serene and spacious, as opposed to choked and “barracks like”. Therefore, “Face-me-I-Face-you” (Tenement Building), Block of Flats, and high rise houses will not be permitted. Thinking about over 200% return on Investment in 6 month. For Site Inspection / Purchase, Contact Us +2347062889444, +2348180422501.